Here's a trend I can totally get behind: artist collaborations with major retailers. These relationships can be beneficial to both parties. The store gets some street cred and a breath of new creativity for their line. The artist gets a welcome influx of cash, some publicity, and a far larger reach than he or she would normally enjoy. And really, isn't it better for these stores to embrace artists rather than just bite on their work? Some stores do so without much repercussion, so I'm all for supporting the ones that give creatives their due. Following are some of my favorite artist/store pairings in stores now. I love the collaboration between Canadian fine artist Claire Desjardins and Anthropologie, which includes the bedding and rug shown above. Painterly items are making real inroads in both fashion and home decor right now, and I think Desjardins' style is especially lovely. But grab 'em while you can: the bedding is on sale now, and the rug is sold out online. You can always give Anthropologie a call to try to locate the rug, though. They're great about tracking down items for their customers. West Elm is one of the most active collaborators with artists. At any given time they have a number of offerings, and they're always really affordable. My favorites right now are the products designed by Texas-based artist and illustrator Alyson Fox. 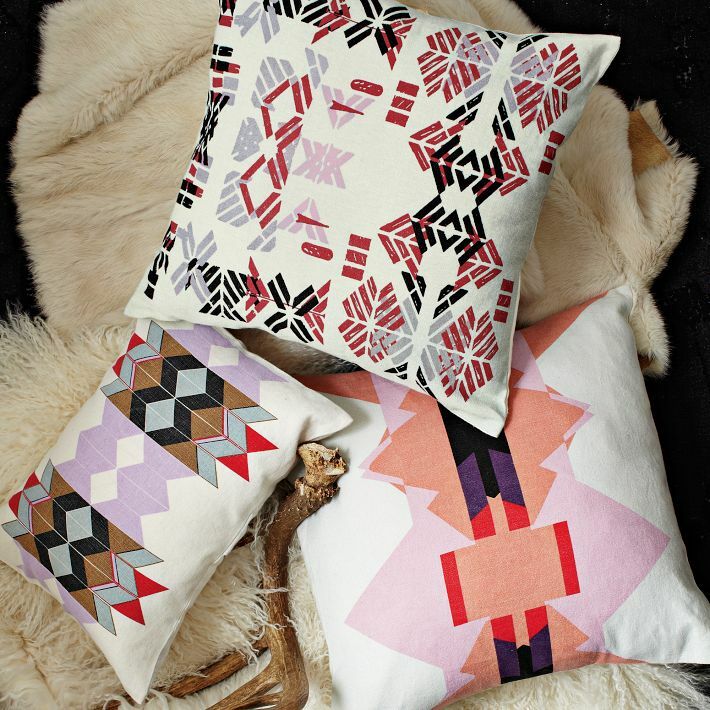 Her collection of rugs and pillows is nearly sold out, so pick them up while you can! 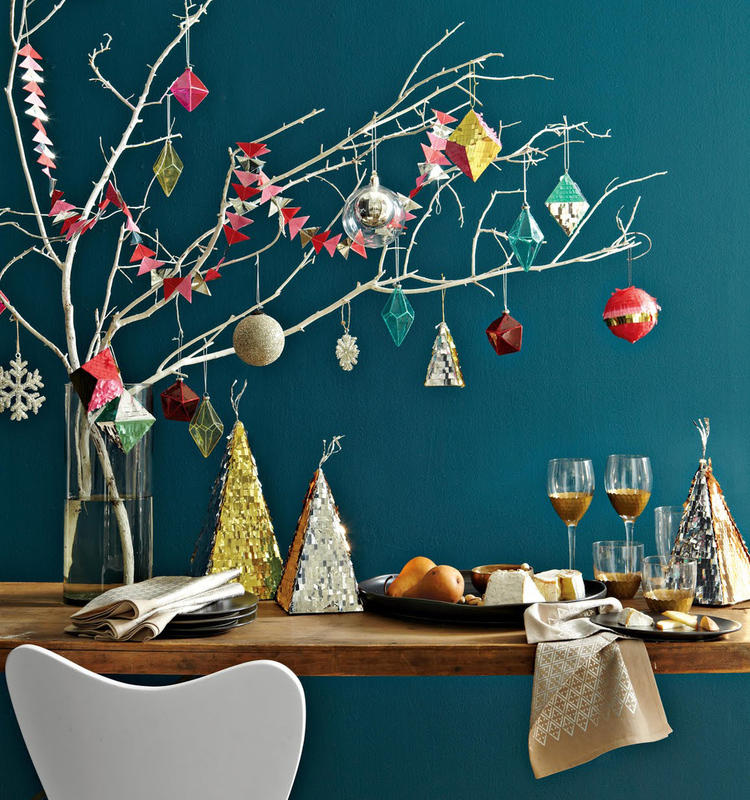 And I must give a shout out to West Elm's pairing with New York based paper artists Confetti System last winter. Their garland decked our mantle for Christmas, but I love it so much I just might trot it out year round. I figure since it's pink, silver and red, there's no need to keep in under wraps til the holidays. Textile artist Angela Adams is no stranger to the home decor world. Her work turns up on everything from rugs to bedding to furniture. But I'm a special fan of her collaboration with tile giant Ann Sacks. 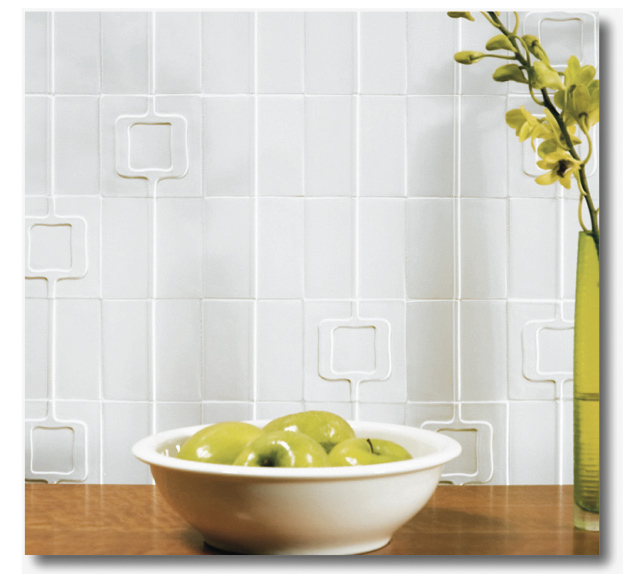 The products are just lovely, and It's not often you find tile with such an organic feeling. I'm also digging the Ben Holiday wooden house offered by CB2. It's a reproduction of a model the Chicago-based artist/architect made in grad school. It's difficult to find affordable sculptural objects; this one is especially fun, and very well priced. It would be truly cute propped on a bookshelf or side table. I thought I'd end with a piece of adorable monster art, the product of a collaboration between the Land of Nod and illustrator Amy Sullivan. Its scientific sensibility is vey tongue-in-cheek, and reminds me of the charming Oliver Jeffers and Aaron Ruff art exhibit I wrote about recently. You can order paper prints of Sasquach and other monsters from Sullivan directly, but you may prefer the Land of Nod pieces. They're mounted on canvas, so no additonal framing is necessary.